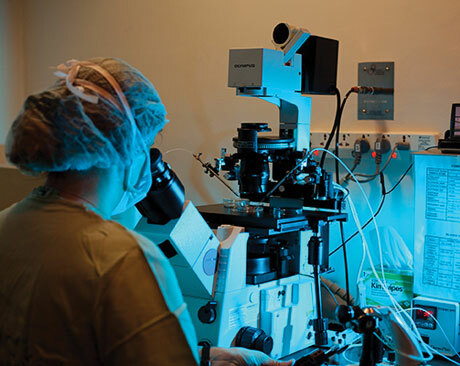 ICSI is a common technique similar to the IVF procedure. The only difference is the laboratory technique used to fertilize the egg and sperm. With ICSI, asingle sperm is injected directly into each egg to achieve fertilization. The resulting emryos are then allowed to develop in the lab for 2 to 5 days before being transferred back to the woman. This method is indicated in the event of male sperm problems, such as when the sperm is unable to fertilize the egg on its own.